Winter isn’t here yet, but this beautiful blanket is will be perfect for the season. 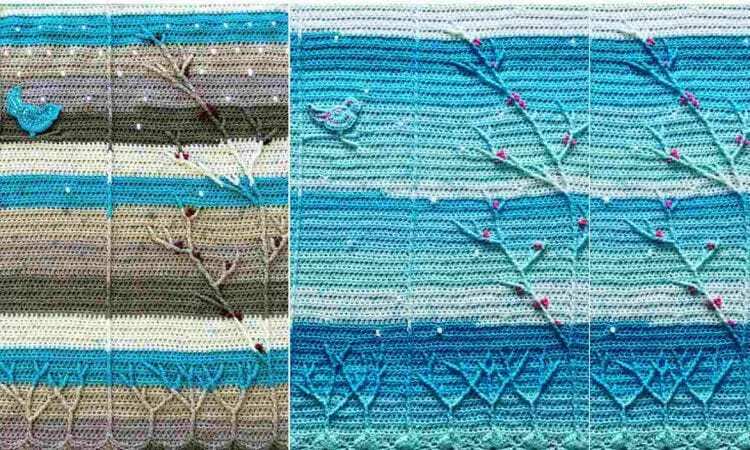 The project is a bit of an undertaking, but given the free patterns, most crocheters will be able to tackle it. Done in winter hues, with the berries as a playful, colourful accent, the blanket will not only keep baby warm, but also be a great seasonal decorative accessory and conversation piece. Enjoy! For more free designs every day follow us on Facebook. Link to the free pattern is below. Winterberry Baby Blanket – Free Crochet Pattern is >>here<<. Don’t forget to Like us on Facebook. Share your ideas and your work on our Facebook group! Beautiful Blanket Hope it’s not hard to make!